iSheen addiction. 5 steps to get over it. The article below was written in a haze of frustration following the lackluster iPhone 4S launch event. It unfortunately coincided with the death of Steve Jobs – lovingly mentioned in the article as “Turtlenecked Angel”. All said and done Mr. Jobs was a true visionary and business leader of our generation. Whether I agree with Apple’s business practices and technology direction or not, is inconsequential to the fact that Steve Jobs and his organization have redefined technology for most of us today. We will be hard pressed to find a successor of comparable influence and vision in our lifetimes. RIP Steve Jobs. No this is not about an admission to being a closet Charlie Sheen fan. Though I have to admit that he is AWESOME. Just see this tepid season of “Two and a half men” – and you will immediately start missing his craziness. But that is a whole other discussion. The operative letter here is “i” – which is used by Apple to propagate the ridiculous idea that “they” know what “i” want. Well they don’t. Not by a long shot. But something has to be said about the hype juggernaut that Apple is, because they regularly force me to shed my inertia and publish something on my poor blog. 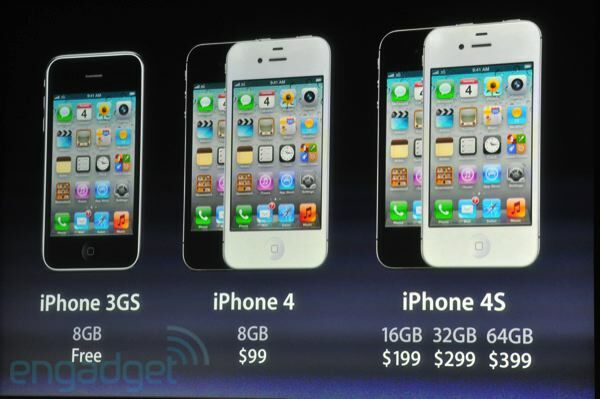 As you would have guessed this is about the iPhone 4S. Last morning, 10 AM Pacific time, I slugged it out with millions of apple voyeurs to catch a glimpse of what Apple had in store for us. I know there were millions because the CNET live blog shut down at 10:05 and Gizmodo didn’t make it past 10:15. It was as if they were handing out free iPhone 3GS’es. As it turns out – they were, and that was the best news of the day. I wasn’t there in person – but I could feel the underwhelming feeling hurtling down my broadband line. Apple had done it again. They had managed to make a huge song and dance show about catching up with the competition… leaving all those millions of iPhone 5 hopefuls to put on their veil of stubborn submission, and accept this minor update as the greatest thing since the last Apple illusion. I wish I could just reach out to each and every one of them, give them a hug, and hand them a pamphlet to the nearest rehabilitation center. I have realized that it is not their fault that they will camp outside the nearest Apple store, ready to spend their hard earned money, in these recessionary times, on a phone which is already a couple of generations old. It is not their fault that the moment they receive this gift from the gods, they will clamor for the next dose of awesomeness for which they will patiently wait for many months, until their turtlenecked angel will dispel the clouds of despair with a lightning stroke in the form of the world’s greatest technological hallucination. It is not their fault… because they are iSheen addicts. They deserve my sympathy and my help. So just for you, my helpless sheep-of-apple I have put together a simple 5 point plan which will help you shed your addiction and see the world again – as it is. 1. Remember – you are not alone. There are plenty of iSheen addicts like you out there. So open your browser, type http://www.ebay.com, register and click on “Sell an item”. Put in the description of your iphone in there, and click “submit”. 2. Sit back and watch as the millions who have not chosen your path towards reality, fight over your piece of metal and glass. This whole exercise of being an “outside” spectator to the silliness will make you see your twisted world with a new perspective. You might get typical withdrawal pangs and might find yourself staring longingly at your iPhone, wondering “What have I done?! !” Don’t give in. Every addict goes through this… and it is important to keep the end of the tunnel in sight. For this move to step 3. 3. Open your web browser again, and type http://www.google.com. In the search field type “Best Smartphones”. 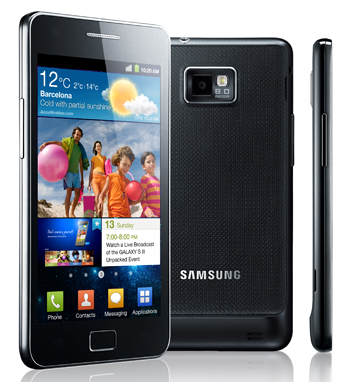 A new unknown world of the latest mobile technology will open up in front of you. You might have some trouble understanding the words and the pictures of sleek, thin, large-screened phones – and that is because that part of your brain has been deadened by the Apple drug. But persist and find your inner droid – which will show you the path. (Note of caution: You will also find your beloved iPhone on many of those lists – but that is because it is not a bad phone. It just won’t be number 1 or 2 or 3 – and you deserve the best.) And soon, you will like something. It will have a dual core processor, a screen you can actually enjoy your games and movies on and it will be thin and light and just plain gorgeous. Take a print out of this modern marvel and stick in front of you – for all those times the invisible tentacles of the iPhone try to pull you back into the abyss you are leaving behind. Playing soothing zen music in the background will also help. 4) Use the amazing amount of money that other addicts would have paid for your iPhone – and buy your new dream device (it will mostly be one of the many Android devices). And with the money that is left – go and treat yourself to a 1-hr Swedish deep-tissue massage. You deserve it – like you deserve the best technology that’s out there. 5) Play with your new phone… customize it, make it yours in ways that was never possible with your iPhone. The biggest life-altering change will be the realization that “You own your phone” – and not the other way round. Once that realization seeps into every corner of your recovering soul – will you have truly emerged victorious over your addiction and you will see the world for what it is. You will be once and for all – truly free. If you are an iSheen addict then use this is as a guide towards enlightenment. If you are not and you know someone who is, pass this message to them. The power is in our hands to rid this world of illusion and show light to the lost. If you ever met my Paati – you would probably not find anything extraordinary. What you would see, would be just another old smiling South Indian “Mami” dressed in a traditional saree, disposing of mundane chores gently like a sea breeze would make a leaf flutter. As you saw her tend to a great-grandchild with effortless ease, you might have just missed the fact that her joints ache with pain which would have debilitated athletes. If you saw her talking on the phone – mostly long distance calls to her children in distant lands – you might miss the fact that the person on the other line could have a name like “Adam”. If you saw her smiling at the news of one of her grandchildren – yet again – making a mark in this competitive world; you might just miss the fact that the lives of 15 of us have been immutably influenced by her unconditional love. If you just walked into the unassuming living room of an unassuming two-storied house in Jayanagar, Mysore – and saw her diligently following a Kannada TV show – you might never know that this lady, who spent her young life tending to her family in small villages & towns of Karnataka, played a mean game of Scrabble. Amma to some, Maami to others and Paati to almost everyone else – Rukmini was a woman of grit, determination and tremendous substance. She was the kind who didn’t need Femina to teach her how to run a house, or to have progressive thoughts and opinions. She was not the kind who would let the fact that she was from “another time” come in the way of typing an email or use the internet. She was not the kind who would blindly hold on to her “way of life” and not let her children and grandchildren go out in the modern world, find their own paths and even marry the person of their choice. She gave the gift of love and freedom to her children and their children and quietly exulted at their successes and supported them through their difficulties. My Paati was a rare person – a seemingly endless reservoir of love, patience and acceptance which suddenly, on the 23rd of June, came to an end in a hospital in Bangalore. The feeling of shock that has permeated her family is difficult to describe in words. Each one of us carries our own version of her in our minds – and each one of us is trying to deal with the suddenness of this loss. I for one am back to questioning the caprices of fate. Where does all that love go when it dies? Appanna, Sheila, Raghavan, Kumuda, Sarasa, Sampath, Seshadri, Sarasi, Leela, Narsimhan, Latha, Vanamali, Padma, Ram, Shyla, Sanjay, Kavita, Adam, Anita, Abhishek, Dilnavaz, Shilpa, Shridhar, Adviteeya, Chaitanya, Anmol, Manasa, Amit, Apratim, Shree, Raghu, Kaavya, Amaresh, Chaitra, Prasad, Utsav, Kavana, Apu, Pooja, Jay, Dev, Dhruv, Satvika, Vibhav, Abhyu, Ria, Avyukth – and so many others. She might not be with us today… but her legacy is plain for everyone to see. So many individuals, successful and accomplished in their own right – all today carry her love in their hearts. And it is here where my Paati will live on for generations to come. Ok – let’s get two things straight. One – I was really looking forward to a collaboration of Messrs Abrams & Spielberg. And that had really nothing to do with the crazy secrecy that shrouded the run-up to the release. I was sincerely looking forward to this movie. Two – Super 8 is not a terrible movie at all. If this is sounding different from other stuff you have read about the movie – then it is probably because I just don’t get it. That may be – but here are my 8 reasons as to why Super 8 ain’t super at all. 1. This movie has been made to bring back the spirit of adventure, camaraderie & magic, that used to infuse the great summer movies of the past. Many of which were helmed/produced by Steven Spielberg himself. I remember vividly, when I watched ET for the first time, I felt for the kid and his family and their problems and his goofy alien friend. I still do. Same goes for the cult classic “The Goonies”. The dynamics between the children, their individual characters, their personalities – were so vividly portrayed; and more importantly so deftly woven into the plotline. Unfortunately for Super 8 – though the performances are generally strong – there are too many side stories going on, almost independently from the main plot… the “tie-up” is missing. Guess it takes an auteur of Spielberg’s or Donner’s class to do this. 4. The build up to the monster finally gets to you. Most of the movie is over before you get a good glance at the monster. By that time you don’t care for it… and that destroys the ending. 5. Full of boring/uninteresting characters. Joe’s dad – the deputy sheriff, Joe’s girlfriend Alice’s dad who was responsible for Joe’s mother’s death (only in the end we find out he wasn’t really), the rest of the town… BORING. Damn – even the evil Air Force colonel was not really evil. When the most interesting character in the movie is a long haired dude who gets stoned and utters the only instance of the “f” word in the movie… then you know you are in trouble. Even the main character – Joe – builds train models and loves doing make up. 8. Finally – and this is something hard to describe in a post mortem – the movie felt long. I remember seeing Avatar and realizing at the end that I just sat through three hours of a movie which felt like an hour and a half. Here, when I looked at the time, I thought my watch had stopped! This is a two hour movie that feels way longer. So folks… in the end Super 8 disappoints. Especially if you consider the legacy it is supposed to be carrying. This is no ET. Not by a long shot. Maybe Steven Spielberg should remake this himself. See it if you have to… but considering how expensive it is, these days to watch movies at the cinema… I would suggest you get a fourth installment of Capn Jack Sparrow instead. Atleast, you can be sure that at the very least he will be interesting and less ordinary. …that was a long dry spell. Hibernation isn’t as much fun as it used to be. In today’s world, one doesn’t have legions of loyal fans waiting until the end of time, for the object of their affections to emerge from a bat-ridden cave. They just move on to other objects. Maybe this über-connected world doesn’t make waiting necessary. There is just so much vying for one’s affections. It’s scary. The rapidly waning and waxing world of celebrities is now a reality for the rest of us. Today if Lady GaGa doesn’t wear a dress hacked out of a piece of meat every two weeks, she will be forgotten. If relatively unknown Grimescene disappears into his batcave for a few months – the only thing waiting for him would be piles of bat-turd – which too, would eventually turn into compost. This just goes to show that once one gets used to being in the public eye, irrespective of whether one is the subject of adoration or ridicule, one would do anything possible to remain there. I guess I always knew that… but now I have felt it. Now suddenly Charlie Sheen doesn’t look so crazy anymore. (Ok, he still does – but now maybe the craziness is slightly justified.) The social network has now become the ultimate channel for people to express their innate need to be loved and taken seriously. Boys & Girls. Step back and just think about it for a second. Just a mere five years ago all this did not exist. People still loved you or hated you then. People still killed themselves – even if they didn’t leave suicide notes on their Facebook page for the whole world to see. Nerds were still dumped, only the dumping was not propagated globally through a status change on a social site. Zuckerberg was still a geek – just not on a Time magazine cover (wholly deserved). How the world of social sites, tweets, status updates, blogs and wikis has irreversibly changed our life will be the subject of anthropological studies for decades to come. My suspicion is that this will eventually lead to a mass consciousness which connects us in ways which were impossible five years ago. I also suspect that the stock market will finally realize that Social Networking has spurred much larger “people” phenomenon, as compared to an economic phenomenon which is driving crazy IPOs and mile-high evaluations. And all this may be nothing but the rant of someone who has been forgotten in his cave. I tried to fight this change and I lost. I am as much a part of this teeming social fabric which has engulfed the educated world, as the next tweet. I thought there was a larger meaning to life that a few comments from readers. I thought that I was the giver, and that I could withdraw my giving as and when I pleased. But the truth is that my Indiblogger rank just fell faster than I could say “Oblivion”. And it hurt. I know now that I am just a receiver of love and acceptance for my humble place in the social world – which is that of a mere blogger. Social Network – 1. Man-island – 0.